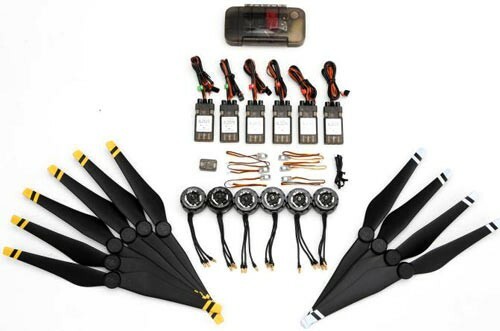 The DJI E800 Tuned Propulsion System for Hexacopter provides an all in one solution for the hexacopter builder. The DJI E800 system delivers greater aerodynamic efficiency and a higher thrust-to-weight ratio from the 1345 propellers, while increasing the reliability, stability and agility of a hexacopter system. 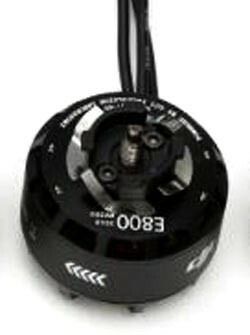 The E800 system is compatible with all 650 sizes multi-rotor hexacopter platforms and above. 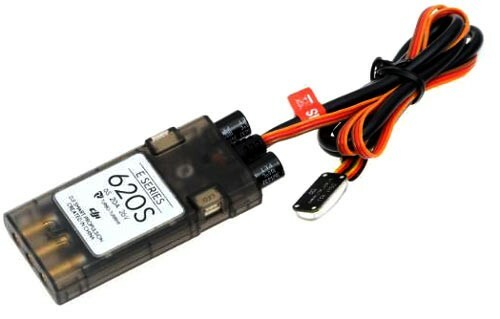 The E800 kit is suppled with the 620S's ESC's which are 20 Amp rated, these ESC's have an efficient and quick response algorithm allowing for extra maneuverability and stability in windy conditions or in a rapid descent. 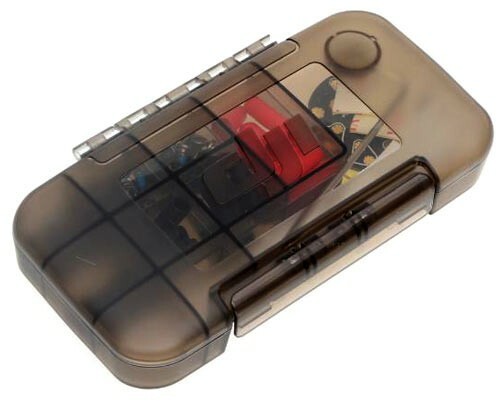 The 620S ecs's have an EMF sheilding on the power cables, which means that the EMF is reduced through the use of coaxial-cable power cable to the ESC's. The reduction in EMF gives a better environment on the airframe for the systems to function. The 3510 motors found in the E800 Tuned Propulsion System feature the precise single strand winding; this gives the motors an ever higher slot fill factor in the stator. The single strand winding saves space and allows better air circulation in the motor, these factors combine to significantly reduce the motor temperature and increases the maximum thrust and operation time from a motor which has the same size as previous motors in the DJI range. The E800 kit has the self-tightening propeller design seen on other systems from DJI like the Phantom series, this prevents incorrect installation of propellers and contunually applies pressure to the blades to keep them in place, no more propeller nuts coming off in flight. I built a Tarot 680 Hexacopter and I purchased this System and installed it unfortunately I had to use smaller Propellers DJI 1242 because the ones supplied were to big. Apart from that I am extremely pleased with this system I would highly recommend this.